Despite not having won a domestic league title since 1990 and a European trophy since 2005, Liverpool Football Club was, at one point, one of the most feared club sides in all of Europe. The late 1970's and a good portion of the 80's solidified (at least for a long while) Liverpool's spot as the most successful club in England and a European club competition powerhouse. 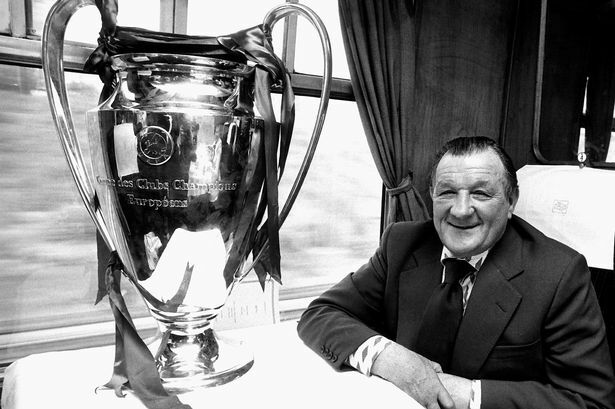 The 1974 hiring of manager and former Liverpool footballer Bob Paisley would pave the way to 6 First Division titles (5 between 1977 and '84), 3 League Cup trophies, 3 European Cups, a UEFA Cup and the UEFA Super Cup. In his first season in charge, Paisley's side managed to capture the FA Charity Shield, but it wouldn't be until the 1976-77 season when Liverpool would put themselves on the map as true contenders for every competition they participated in. The signings of Kenny Dalglish in 1977 from Scottish side Celtic and one Graeme Souness the following year proved crucial to Liverpool's success in the coming seasons. With the likes of Kevin Keegan and Phil Neal already in the squad Liverpool's teamwas exciting and very hard to defeat on any given match-day. In 1976 and '77 Liverpool captured the league title, both seasons coming in just 1 point ahead of the runner-ups. 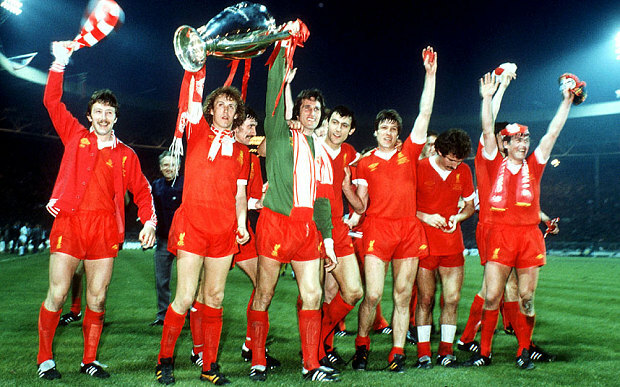 But 1977 also brought silver-wear to Merseyside that The Reds have never laid hands on before; for the first time in the club's history Liverpool would make it all the way to the European Cup final, capturing the coveted title with a 3-1 win over German side Borussia Mönchengladbach in the final match at the Stadio Olimpico in Rome. The following year Liverpool missed out on the league title, coming second to Nottingham Forrest. But their European play did not suffer as a result, with the club capturing a second European Cup title in consecutive years. 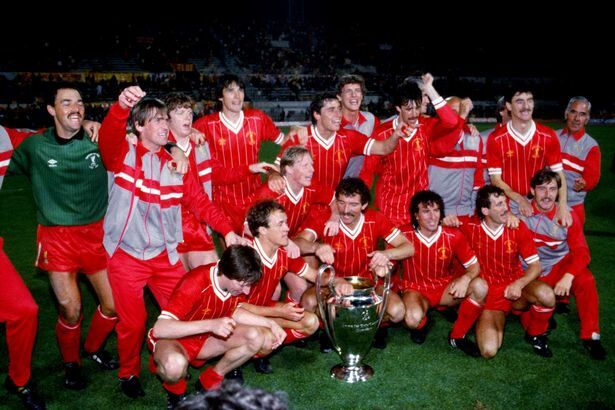 In the final against Belgian side Club Brugge played in front of a 92,000 strong crowd at Wembley Stadium in London, Kenny Dalglish's lone goal off of a pass from fellow Scotsman Graeme Souness was enough to crown Liverpool as Europe's best club once more. The following two seasons The Reds were unable to capture the European Cup, as Forest surprised the footballing world by winning the cup two years in a row. But the impressive Liverpool side led by scoring leaders Kenny Dalglish and David Johnson would not let the first-round let downs in Europe discourage the side from other major achievement. The 1978-79 season saw Liverpool claim the league title once more, coming in an impressive 8 points ahead Nottingham Forest. The following year they successfully defended their place as England's best with a 2 point finish ahead of bitter rivals Manchester United. Over the next three seasons, Paisley's last as the bench-boss for the side, Liverpool would go on to win an additional 2 league titles and their third European Cup, a tournament in which The Reds went undefeated and won the trophy with a 1-0 final win against Europe's most successful side, Spanish club Real Madrid. It was immediately after Paisley's departure as manager however, that Liverpool would have their year to remember. Now under the management of Paisley's former assistant Joe Fagan, Liverpool could (almost) do no wrong during the 1983-84 football season. A fourth round defeat in the FA Cup would be the club's only blemish on the season, a tournament Liverpool could not win in the aforementioned years of glory. But despite yet another FA Cup upset, Liverpool would complete the most successful season in the club's history. In March of 1984 Liverpool qualified to the League Cup Final and a date with city rivals Everton for the first trophy of the year. The initial final at Wembley finished with a 0-0 draw despite extra-time being played and the replay match was scheduled for three days later at Manchester City's former ground Maine Road. In Manchester extra-time would not be necessary as Graeme Souness' 21st minute goal would hand the League Cup to the red side of Merseyside. As May of 1984 came around, Liverpool's history would change for ever. On May 12th, 1984, Liverpool would clinch their third consecutive First Division title with a match to spare, becoming only the 3rd club to accomplish this achievement. Eighteen days later The Reds would have to take on AS Roma in the European Cup final, at the Stadio Olimpico nonetheless. A win in Rome would engrave Liverpool FC's name as the first English club to win a "treble". As was the case in the First Division, Liverpool's Welsh striker Ian Rush would also be the club's top scoring forward in this competition. Despite not scoring in Liverpool's first round of play against Danish side Odense Boldklub or in the final versus AS Roma, Rush would go on to score match-winning goals in all three rounds leading up to the final match. Brushing Athletic Bilbao, SL Benfica and Dinamo Bucharest aside, LFC were now one match away from recording English football history. In Rome, where Liverpool have won the European Cup final once already in 1977, The Reds did not waste much time as fullback Phil Neal pounced on an odd bounce off of Roma's keeper Franco Tancredi's head to put the ball in the back of the net. Roma fought back however and were level just minutes before the half time as a header from Roberto Pruzzo was too much for Liverpool shot-stopper Bruce Grobbelaar to handle. Scoreless after the two initial goals, the match would be decided in the penalty-shootouts. Francesco Graziani both putting their shots over the goal as well, the calm and cool of Liverpool's stars Phil Neal, Graeme Souness, Ian Rush and Alan Kennedy would prove crucial as all four slotted their shot into the back of Franco Tancredi's net to become the first ever English side to win three major titles in one season and their 4th European Cup title in 7 years; success of proportions the club has yet to see since. After the 1983-84 season Liverpool's success rate would plummet. The club would go on to win three more league titles, including their last to-date in 1990 and a UEFA Champions League title in 2005; with the side from the mid 1970's to mid 1980's still regarded not only as Liverpool's best, but also as one of the most impressive club eras in Europe.